If you love craft beer, Philadelphia’s breweries shouldn’t be missed. 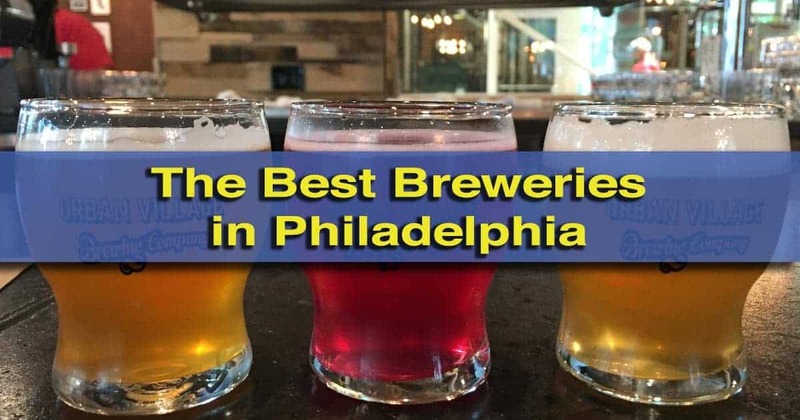 Often called “America’s Best Beer Drinking City” and home to Philly Beer Week, whose model has been emulated in cities all around the world, there are few better places in the country to grab a cold one. The first brewery opened in Philadelphia in 1683, and, thanks to the city’s large German population, beer thrived in the city. There’s even a neighborhood called Brewerytown that got its name because of the number of breweries that once inhabited it. It was also in Philly in 1840 that Engel & Wolf Brewery brewed the country’s first lager. 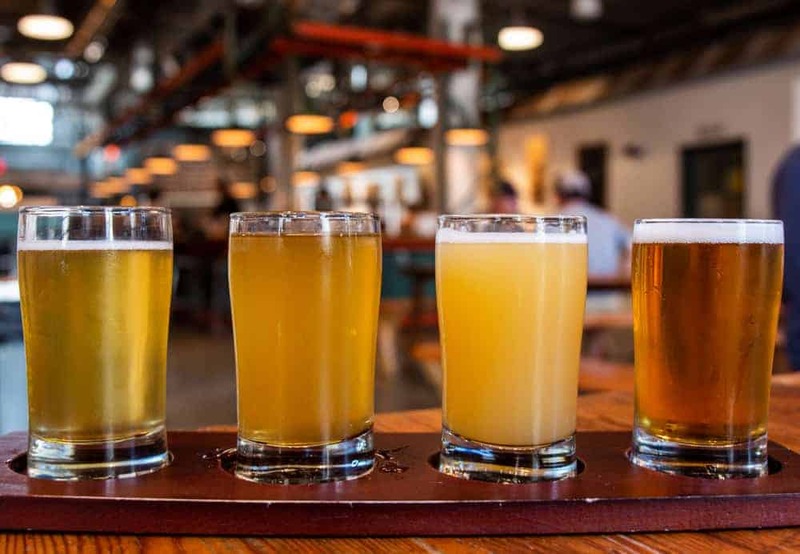 With such a storied beer making tradition, it should be no surprise that craft beer in Philadelphia is thriving in the city’s many beer gardens, great pubs, and in the ever-expanding list of fantastic breweries. 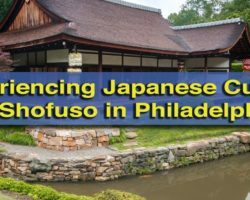 During my many visits to the city, I’ve had a chance to visit many great Philly breweries. Here are a few of my favorites. 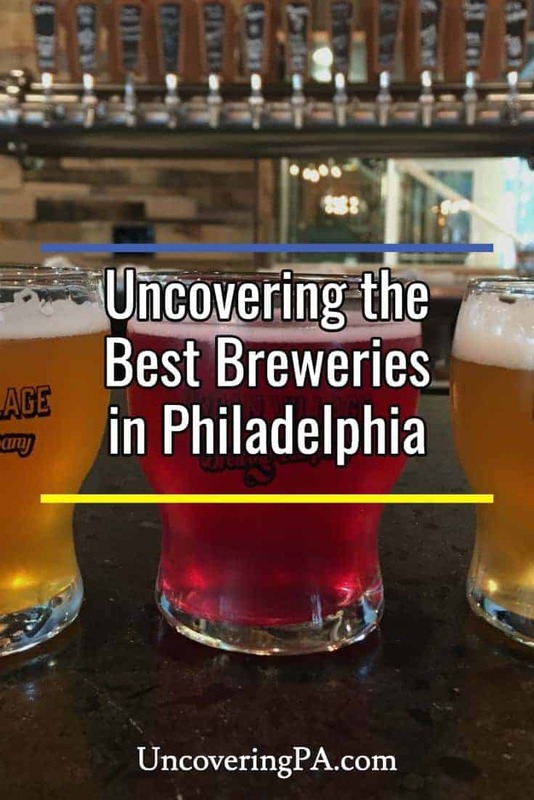 While incomplete at this point, expect this list to be updated as I have a chance to explore more of the great breweries in Philadelphia. Yards recently moved into a great new building near Philadelphia’s Old City. Yards Brewing Company is the largest brewery in Philadelphia and has been brewing beer since 1994. 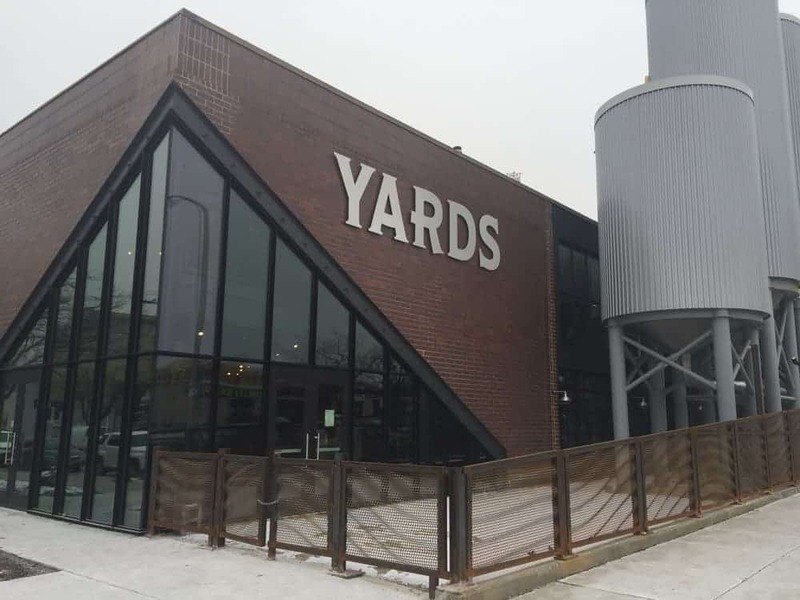 After a move in late 2017, Yards is now located in a large, modern brewery along Spring Garden Street, less than a mile from Independence Hall. Yards brews many different styles of beer, but distinguishes themselves with their Ales of the Revolution beers. These three beers are brewed based on beer recipes that were once brewed by George Washington, Thomas Jefferson, and Benjamin Franklin. 2nd Story Brewing Company is the only brewery in Philadelphia’s Old City. 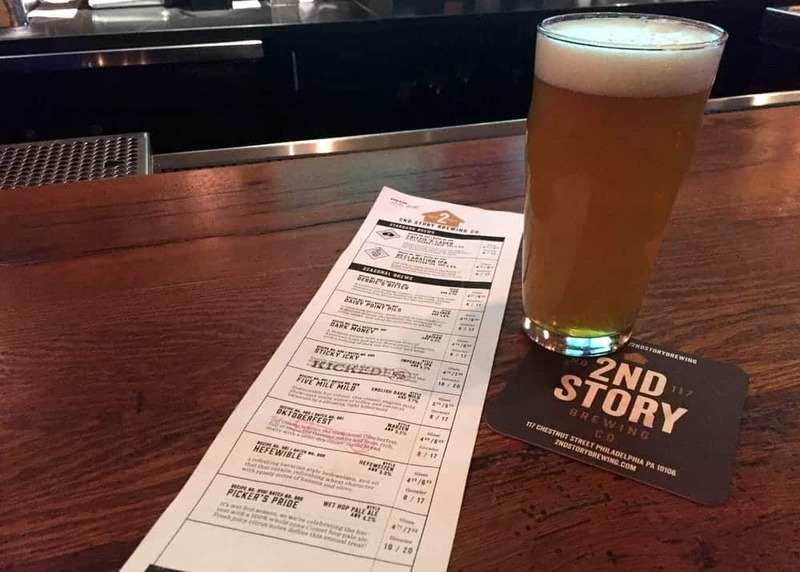 2nd Story Brewing Company is the only brewery located in Philadelphia’s Old City and makes a great stop while exploring the many great historical sites in the area. 2nd Story brews their beer on, wait for it, the second story of their Chestnut St. building, with their great tasting room on the floor below. During my visits to the city, I’ve had a chance to try several of their rotating beers, as well as their flagship IPA, and I’ve been impressed with every beer I’ve tried. Enjoy a delicious beer sampler at Saint Benjamin Brewing Company. Saint Benjamin Brewing Company in Philly’s Kensington neighborhood is located inside the carriage house for the now defunct Theo Finkenauer Brewery. 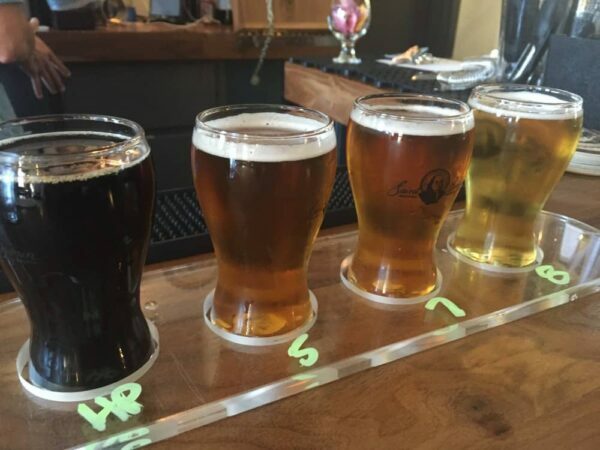 Saint Benjamin produces all of the traditional styles that you’d expect, but also brews harder to find types of beers such as coffee kolches, cream ales, smoked lagers, and English mild ales. Saint Benjamin also offers free tours of their Philadelphia brewery ever Saturday afternoon. Few breweries are better at naming their beers than Evil Genius Brewing Company. Evil Genius Beer Company not only brews some of Philadelphia’s best beer, but they also have, without a doubt, the most creative names for their brews. 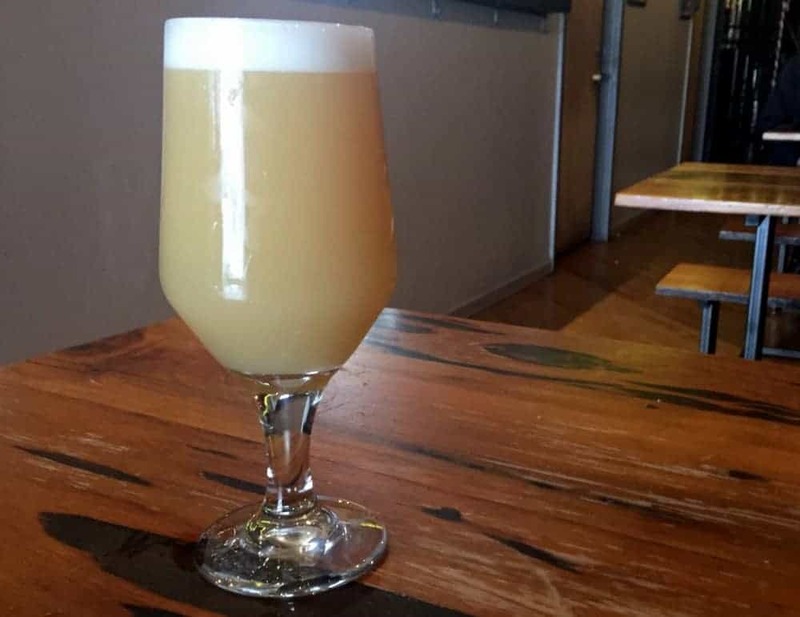 Beer lovers can enjoy beers with fantastic pop culture references such as Bye Felicia IPA, Purple Monkey Dishwasher Porter, and I Love Lamp Hefeweizen. 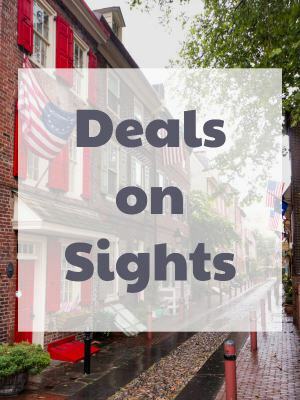 Their tasting room, dubbed The Lab, is located in Philly’s Fishtown neighborhood and features a laid back atmosphere and many great board games for visitors to enjoy. Fermentery Form features a tiny tasting room, but delicious sour beers. I can safely say that there is no other brewery in Philly quite like Fermentery Form and Blendery. Located down a back alley in Kennsington, the only thing to clue you in that there’s a brewery there is a set of cool wooden doors and a green light. Inside this secret brewery, Fermentery Form makes some of the most delicious sour beers in Pennsylvania. While they don’t brew their own beer (they purchase wort from other breweries), Fermentery Form puts their stamp on the beers through their aging and flavoring process. Fermentery Forms tasting room is hidden down this alley. 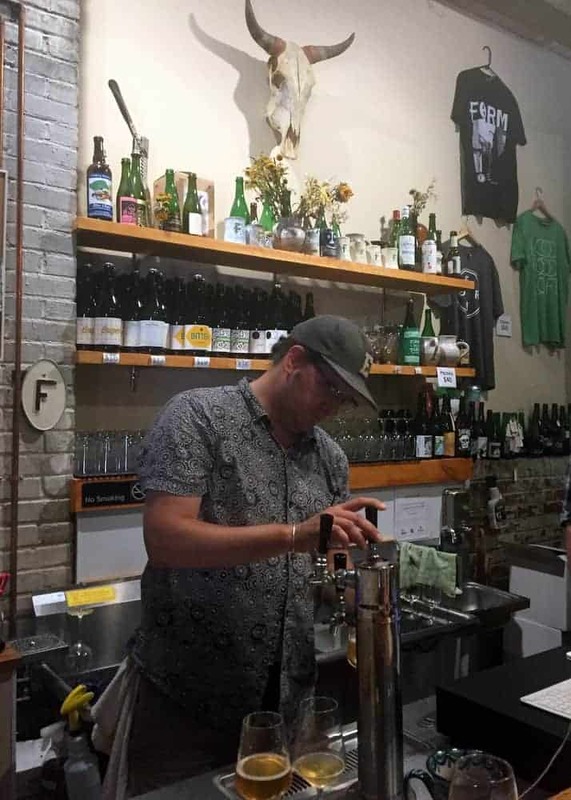 Their very small tasting room typically features three beers on tap and a selection of bottled beers to take home and for in-house consumption. While I’m not personally a huge fan of sour beers, I appreciate the great artistry that goes into these beers and can tell they are very high quality. 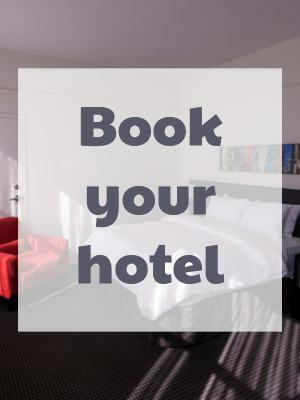 Plus, how cool is their secret location? 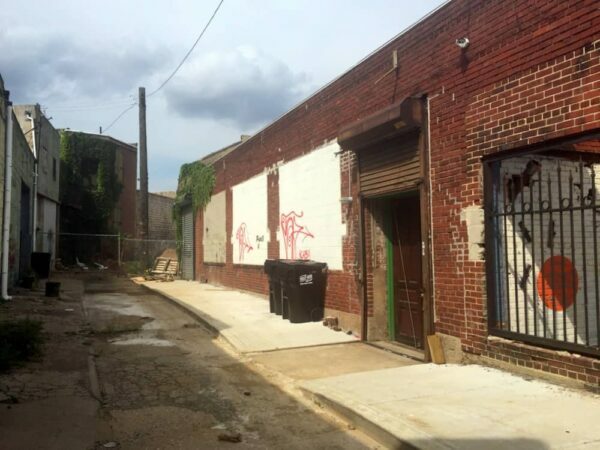 Crime and Punishment Brewing Co. is the only brewery in Philly’s Brewerytown. Philadelphia’s Brewerytown neighborhood was named for all of the breweries that once occupied it. Today, there is only one: Crime and Punishment Brewing Co. The brewery has a decidedly Russian literature theme that goes beyond its name to their decor, beer names, and food. However, they still brew all of the popular styles of beer that you’ll find at other local breweries. During my visit to the brewery, which features the smallest tasting room on this list, I especially enjoyed their Space Race IPA and the Charge of the Bogatyr Double IPA. The Devil’s Pool Double IPA at Wissahickon Brewing Company is a fantastic beer. 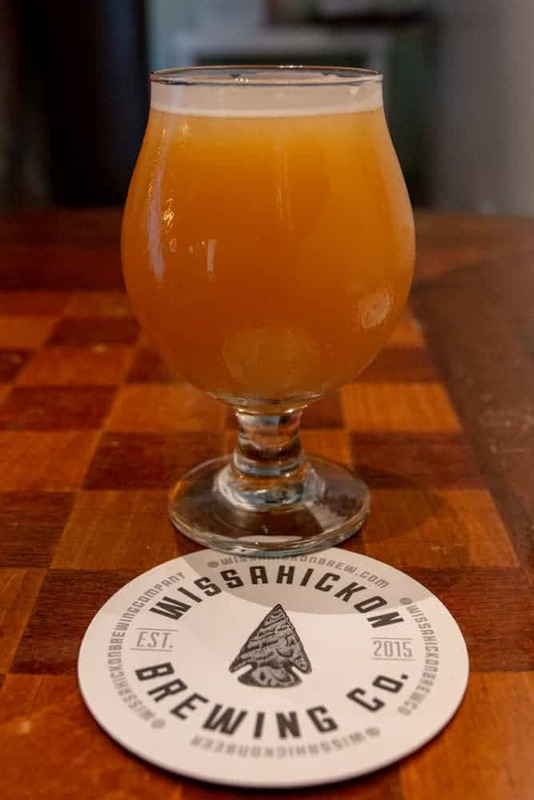 Opened in April 2017, Wissahickon Brewing Company is a family business that was founded after winning awards at national homebrewing competitions. 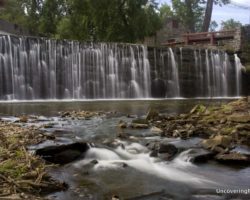 Wissahickon Brewing Company is located north of Center City Philadelphia and just a few blocks from the fantastic Wissahickon Gorge. Because of this, many of their beers are named after locations within this outdoor area including Devil’s Pool Double IPA, Valley Green Pale Ale, and Kelpius Kave Belgian Golden Ale. During my visit, I had a chance to try one of their signature beers: Devil’s Pool Double IPA. This was a fantastic beer that I especially enjoyed because it was hoppier than most double IPAs I’ve had. Their tasting room provides both indoor and outdoor seating, and food trucks are often present for those looking for a bite to eat. Urban Village Brewing Company offers a variety of unique beers. Urban Village Brewing Company opened in 2017 as a craft beer and brick oven pizza pairing concept. This means that not only do they recommend specific pizzas to go with your beers, but this brewery has a decidedly restaurant feel. Fortunately, they also have some fantastic beers. 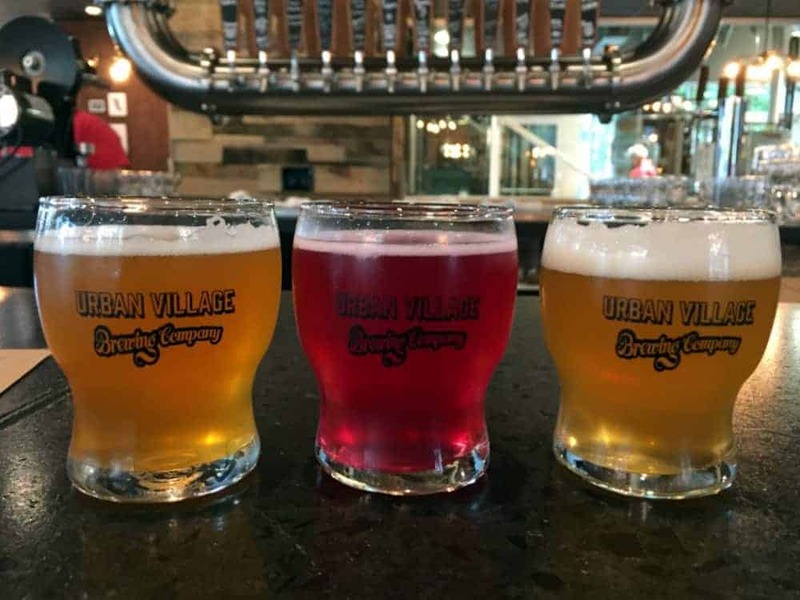 Urban Village brews many great beers including the Huntington Drive IPA and Land Down Under Hoppy Saison, but there is one beer that must be tried if it’s on tap when you visit: Beets by J. This beet beer (yes, I said BEET beer) is bright red in color, and looks unlike any other beer I’ve seen in PA. Even if you aren’t a fan of beets or sour beers, give this delicious beer a try. 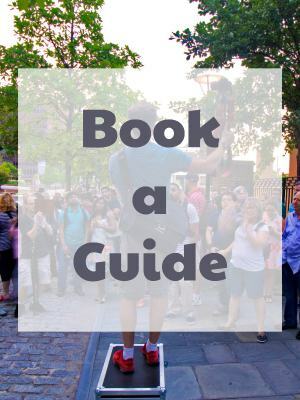 Philadelphia Brewing Company offers fantastic tours every Saturday. 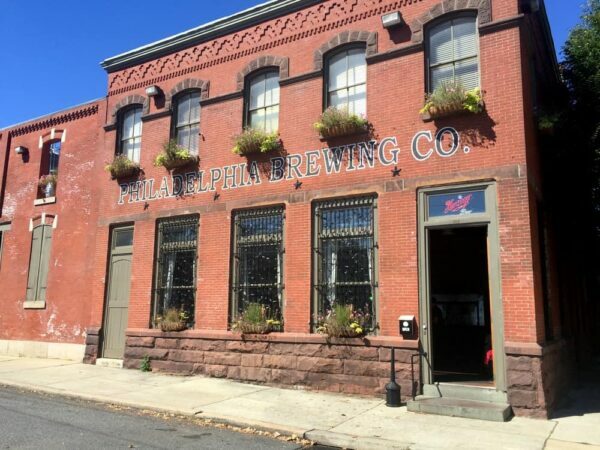 Philadelphia Brewing Company is one of the oldest craft breweries in Philadelphia, having opened its door in 2001. This Philly brewery is a great introduction to those that are new to craft beer. 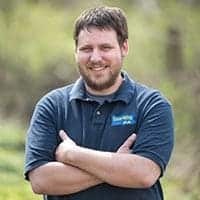 That’s not to say that they brew bad beer, but their craft beers are more in line with the craft offerings from breweries like Yuengling or Straub than some of the more popular craft breweries in the Philadelphia area. In addition to beer, Philadelphia Brewing Company offers its own line of ciders under the brand Commonwealth Ciders. Visitors can take a fantastic and free 30-minute tour of the brewery every Saturday afternoon. Love City Brewing opened its doors in early 2018. Love City Brewing opened its doors in April 2018 in the Callowhill neighborhood near the new Viaduct Rail Park. Located inside an old railroad parts factory, this brewery offers a very cool ambiance inside their large tasting room. 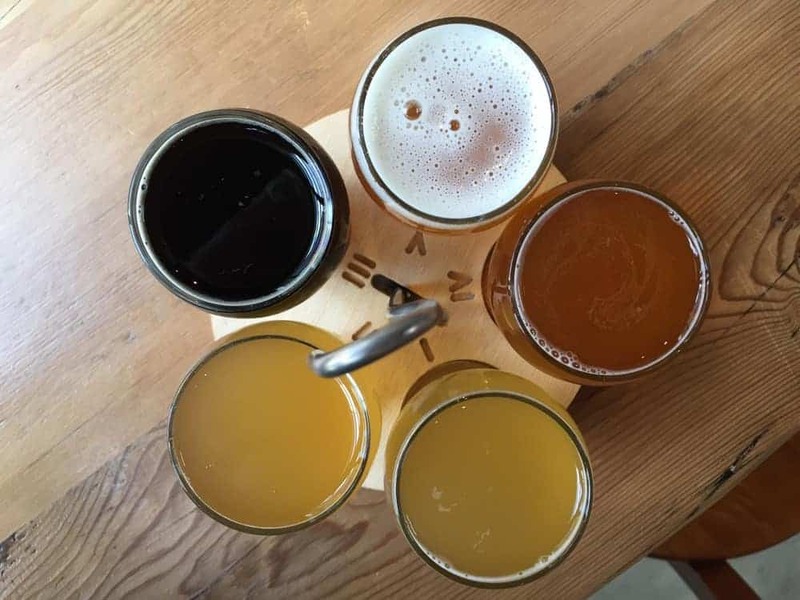 At the time of writing, they offer seven different beers of which I was able to try four in a flight. While none of the beers stood out as overly fantastic, I enjoyed all of them and the ambiance makes this a place I’d visit again. Love City Brewing also offers a small snack bar menu (the Pretzels and Dip had an amazing smoked gouda dip). Uniquely among Philly breweries, they also have space for a food truck to pull directly into the brewery, which allows them to offer a rotating food menu without patrons having to step outside. The flight at Manayunk Brewing Company is one of the best deals I’ve seen at a brewery in PA. Located in the bustling downtown area of Manayunk along the Shuylkill River, Manayunk Brewing Company is one of the oldest breweries in Philadelphia and has been brewing beer for more than 20 years. During my visit, I was able to sample all nine of their current beers in a flight (which is one of the best deals I’ve seen at a brewery). While their beers tend to be more balanced than some, it was done in a way that still packed a lot of flavor. To be honest, given the quality of the beers here, I’m surprised this isn’t a brewery I’ve heard more about. What I loved most about this brewery was their innovative beers, which included a honey IPA, a mixed berry ale, a sour stout, a cucumber melon gose, and several other unique beers. In fact, Manayunk Brewing Company claims they have brewed over 600 different beers over the years. While I didn’t have a chance to try their food, the brewery offers a full dining menu. If you have a chance to visit when the weather is nice, don’t miss their fantastic outdoor patio and bar. 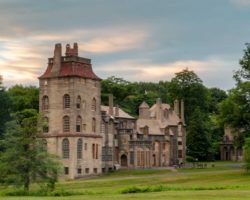 Looking for more great breweries in Pennsylvania? 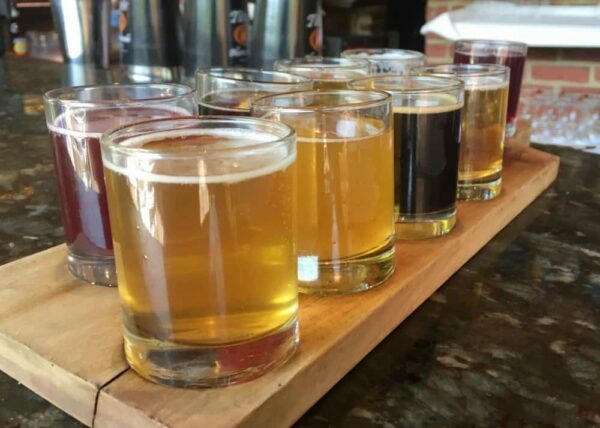 Check out the list of our favorite craft breweries in Harrisburg, our favorite breweries in Lancaster, PA, and our top picks in Pittsburgh. 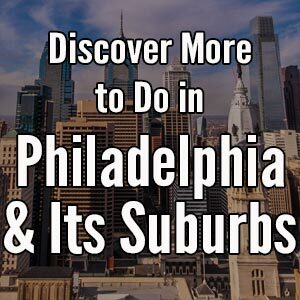 If you are looking for other great things to do in Philly, check out our list of free things to do in Philly and the best cheesesteaks in Philadelphia. 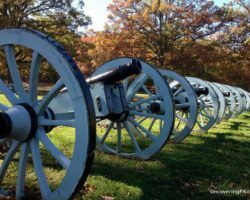 Have you ever done an article on Shenks Ferry Wildflower Preserve? I haven’t. I’ve yet to get over there to check it out.